Secret Shoppers – They’re Everywhere! Here’s the thing. I’m sitting in the waiting area (which bites, by the way and has no women’s magazines) of Discount Tire right now on the corner of TC Jester and 18th, and guess what I just overheard. Are you ready? Discount Tire Manager (to cashier): Hey, what did Gary want when he called? Guy at Cashier (trying to speak softly but guys who work at Discount Tire don’t know how to speak softly): He said that the secret shoppers are coming. That means we’ve got to exercise every single avenue, or else someone is losing their job. Okay, this place is crazy. (I’ve been here an hour at this point.) I just heard one side of a phone call from an angry customer. Guy at Cashier: Discount Tire. Caller (saying something I can’t hear): Blah blah BLAH! Guy at Cashier: Uh, you say they were racist? Caller (again, I can’t hear): Bleh bloop bloopy! Caller (obviously bananas): Bleddy blahdy! Guy at Cashier: I mean, that was just one store. We’ve got (says high number that I forgot) stores across the country. 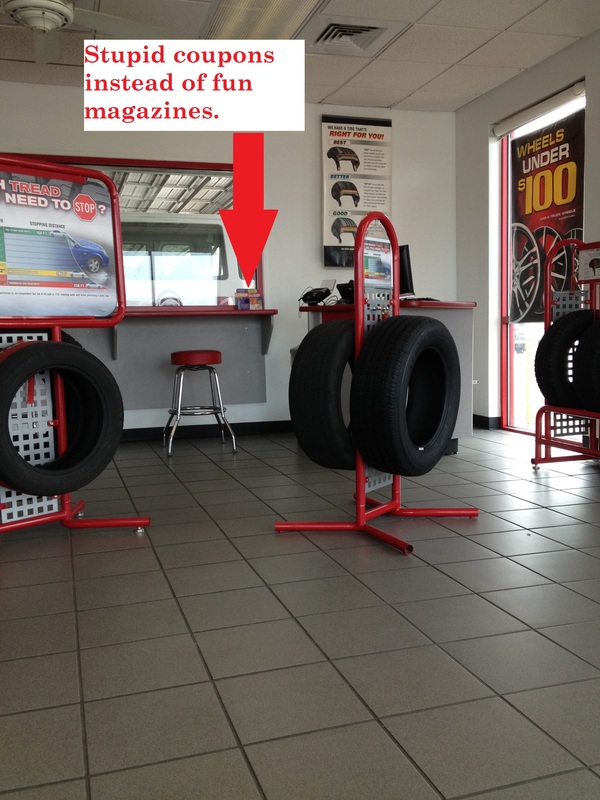 You can’t assume every Discount Tire is like that. Caller (still thinking the Cashier is racist): Bop bop. Guy at Cashier: I apologize for this happening to you, but they charged you the correct price. That’s how much those cost. Mm hmm. Okay. Bye. Y’all, I’m so glad I don’t work at Discount Tire. “Yeah, we’re kind of in training to begin leading the retreats…” I replied. Then Jason wanted to know all the material we cover. Okay y’all, I know I’m all over the place today, but being at the tire store totally threw off my day. (‘Tis a sheltered life I live, readers.) With that, you all have a happy Tuesday, and I’m headed home in my new tires. Y’all, my post earlier today was nutso with typos! I apologize. I corrected them, but my subscribers only see the poopy, unedited versions in their emails. So thank you for grace, and thank you for reading this silly mortgage blog. You rock. 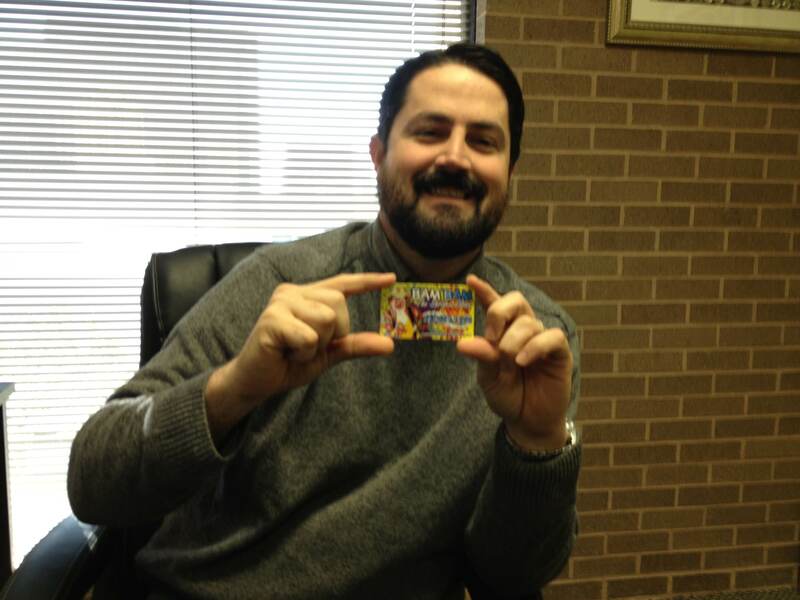 I took a trip to corporate last week and tracked down The Hippie. I interviewed this guy a couple of months ago and apparently people really took to him. (Here’s the post.) Due to his intense popularity in the mortgage and Woodstock crowd, and due to the fact that the dude is ca-razy, he’ll be a regular from here on out. Just the Assistant: Hey Shaun! Okay, the last time we spoke, you had just landed a gig promoting some tambourine player’s album. Is that still going on? Did you promote the album? Hippie Shaun: Yes! That’s going really well. JTA: Did you ever figure out how to promote his work? What did you do? Shaun (annoyed): He’s popular in the music crowd. JTA: He probably is. I only listen to NPR, so I wouldn’t know either way. Shaun: Well anyway, I have a plan for how to make him go platinum. JTA: No way! Let’s hear it. Shaun: So I’ve got about 150 people who I’d call close friends. I plan to convince each of them to buy 150 copies of this album. JTA: Well that makes total sense. I know when I like a band, I’m all the time buying like 150 copies of their album. Same with books. I buy twelve of each book I like. Shaun: Exactly! Because who wants to listen to the same copy of an album? No, you listen to one copy, and then throw it out and listen to the next one. JTA: Totally! (Pauses for drama) Let’s hope the tambourine player doesn’t read my blog. Okay Shaun, other than that, how are you? Shaun: Playa De Carmen. It’s The Circle of Excellence Trip. JTA (squinting): That’s awesome! So awesome that Envoy is letting you go on this trip. This trip that I have tried to attend for five years. Really, it’s so awesome. Shaun (shifting in chair): Should be fun. JTA: So listen, when you go on trips like this, do you get trashed and dance on the tables? Shaun (smiling): Let’s put it this way. I like to have fun. And I also really like to dance, but not always on tables. Sometimes on tables though. JTA: You’re crazy! You know this interview is to make people want to send you business, right? Shaun: Nah, it’s just a buddy of mine. JTA: Oh my gosh then please answer. I’ve got to hear this. Shaun: Hey man…You still raising chickens?…You still bringing me some eggs?…Okay we’re doing a slumber party for Black Angels show, right?… I want to hire you pretty soon. I need a couple websites…Could be ten days, could be ten years… I need to know soon and am planning our Galveston trip around that…Alright man…Peace. JTA: Do you say “peace” when you hang up with clients? 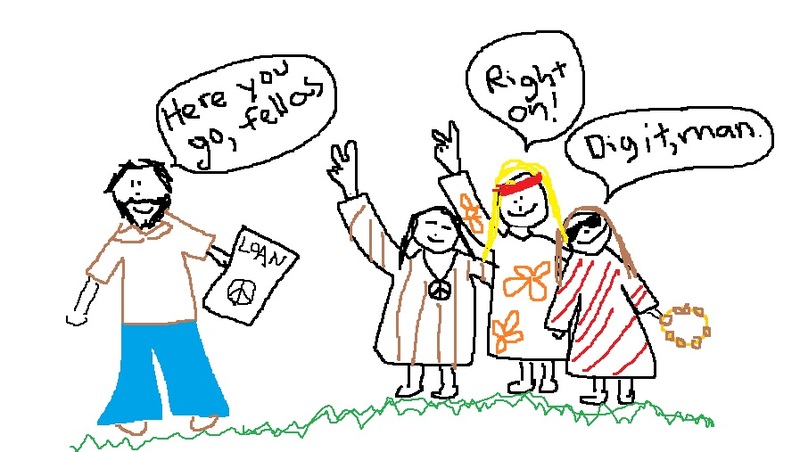 JTA: Hey, speaking of mixing your hippie friends with clients, I have this great business idea for you. Why don’t you tell all your hundreds of hippie friends, “Hey! I can get you home loans!” I don’t understand why you don’t mix the two lives. Shaun: Hippies usually have terrible credit. But I actually have done six or seven loans for musicians, and those guys have no idea about finance. Shaun: But I don’t promote this business in that crowd. I have another business I market to that group. JTA: Oh no. What is it, Shaun? Shaun: It’s my record label. JTA: Of course you’d have a record label. Of course. Shaun (nodding, like it’s a totally normal thing to have a record label): Called Splice of Life Productions. JTA: Do you like animals? Shaun: I have a cat. I don’t like the idea of owning animals though. I watched this PETA documentary and I really got what they were saying, about not domesticating animals. Animals should be free. But I already had the cat before watching the documentary. JTA (laughing hysterically at the joke I’m about to make. Holds hand in the position of holding and shooting a shotgun): Boom! Shaun (laughing with me and holding his hand like he’s shooting a pistol sideways like they do in gangs): This is going to hurt me more than it hurts you, Fluffy! 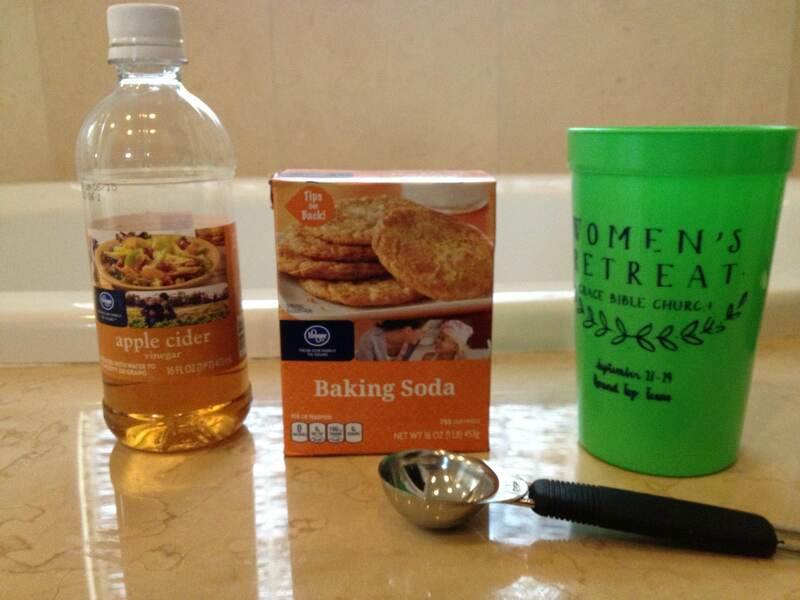 I’m washing my hair with baking soda now! I’m so hippie! JTA: You shut your mouth, Shaun Brennan. I’m saving the world here. Okay, listen, man…we have a lot more to talk about, but I’ve got to wrap this up because there is only so much someone will read of a mortgage blog. So you get back to your loans, and we’ll pick this back up later this week. Okay readers, please come back on Thursday because Shaun ended up telling me about this horrible hobby he has that you all really need to hear about. Until then, I’m off to cuddle with my non-PETA cat, Harold, and Shaun’s off to shoot out a few home loans (and possibly his cat). Opened and searched every closet in my house. Checked all my kitchen cabinets. Looked in the refrigerator (I was desperate). Walked my neighborhood calling “HAAAAROLD!” while holding a can of Friskies and clinking it with a spoon. Asked my neighbor if he’d seen Harold. Texted my husband and told him that Harold was missing. 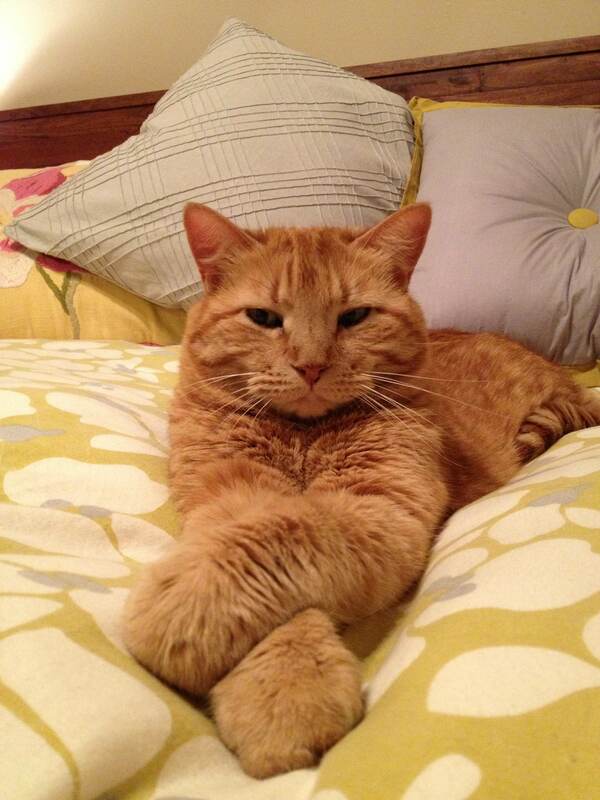 Sent a Facebook message to my neighborhood Facebook group asking if anyone had seen my big orange cat Harold. Tried to coax my dog into picking up Harold’s scent and leading me to Harold. Got teary-eyed thinking of life without Harold. Which means I am now in a mental state in which I can think about work. Andie now has a bigger cube. Bigger cube = Bigger deal. I don’t think the new role called for the paper chain. She just did that on her own. 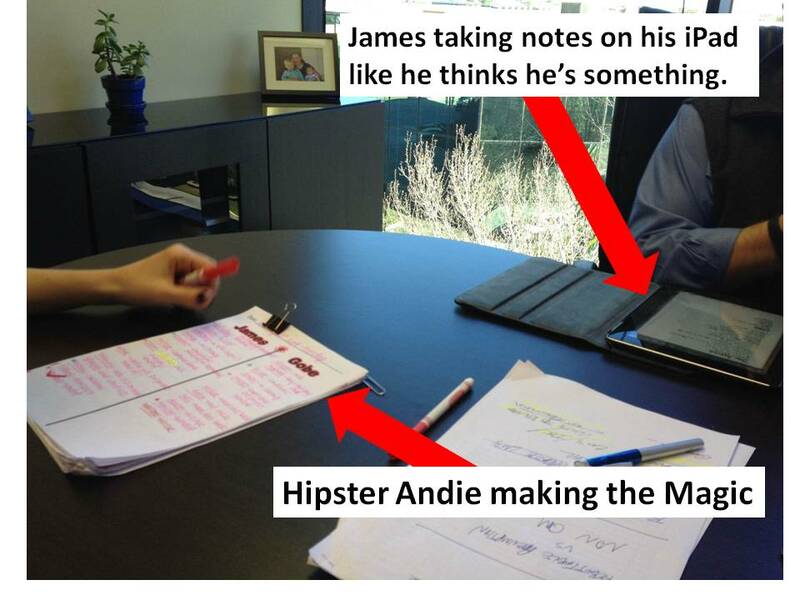 Hipster Andie now takes meeting notes in magic markers. I think she uses the markers because her new role is major important, and she needs to keep herself grounded. I have not confirmed the above bullet. But I did take a psychology class in college so I’d say I’m fairly qualified to make these assessments. I made a D in the psychology class. 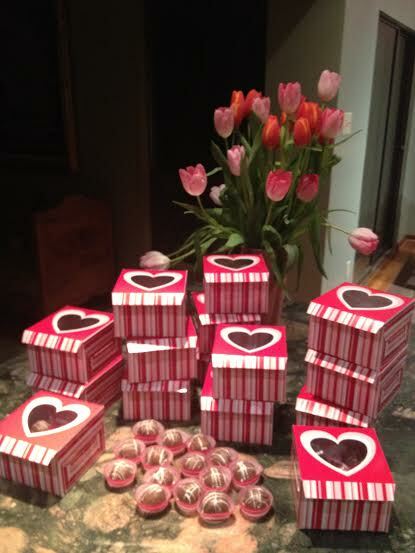 Andie made cake balls for Valentine’s Day and put them in heart boxes. Andie still sits on a yoga ball while she works. I fear she is going to injure her back. I am not qualified to make this assessment. But don’t you think it might be bad? Everybody at our office loves Andie. Clients crazy-love Andie and send her flowers and candy. I ate some of the candy. And that, my friends, is the scoop. 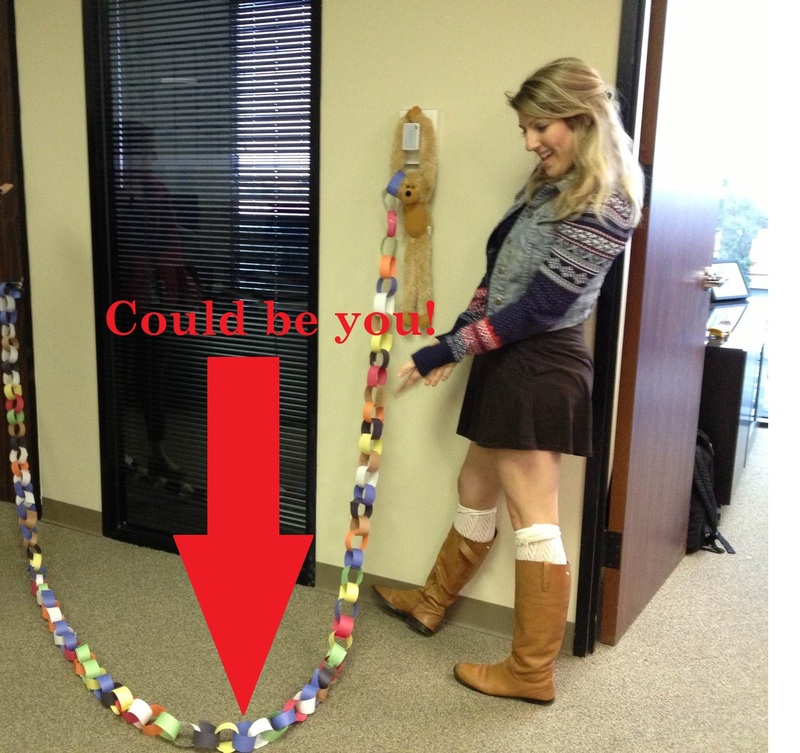 If you would like to send Andie a valentine, please do so in the form of a mortgage application and subsequent link torn from the paper chain. If you would like to send Harold a valentine, please do so in the form of a leash and electric fence so that he doesn’t scare me and my entire neighborhood Facebook group like that again. Happy Friday, loves! James just pointed out that I end the video telling people to call him, but then I didn’t leave his phone number. 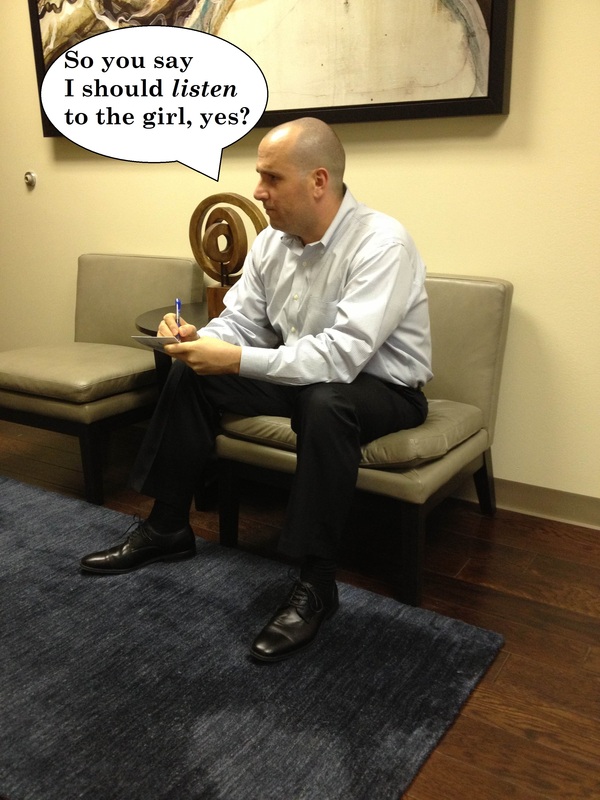 Do me a favor and call him and tell him he’s too picky…713.213.5205.